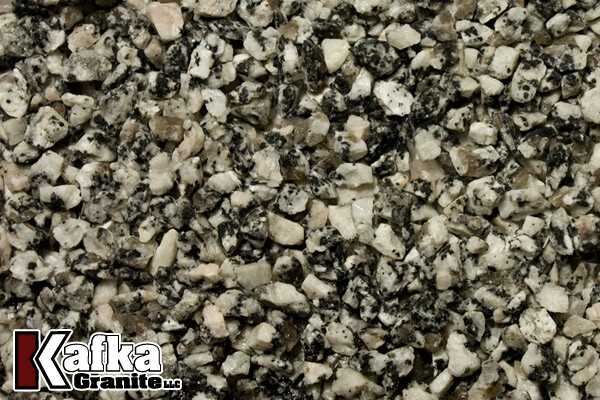 The driving conditions of any preexisting roadway, bridge deck, exit/entrance ramp, or curve can be quickly and easily improved with Kafka Granite’s high-friction surfacing aggregates. 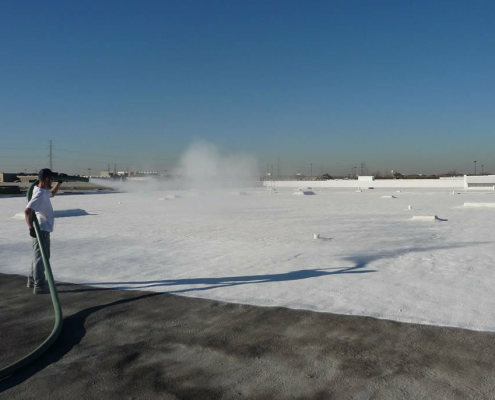 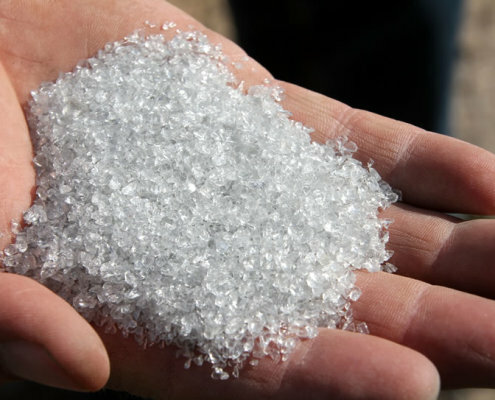 The high-friction surfacing application greatly increases traction year round and helps trap road salt during the winter, making the deicing process more efficient and effective. 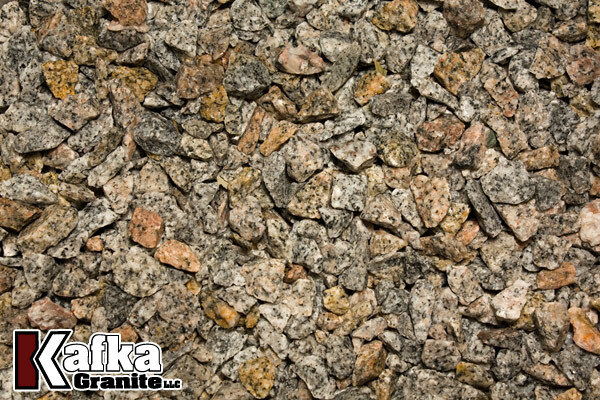 Kafka Granite’s extremely hard high-friction surfacing aggregates easily endure the freeze/thaw cycle and other rigorous conditions. 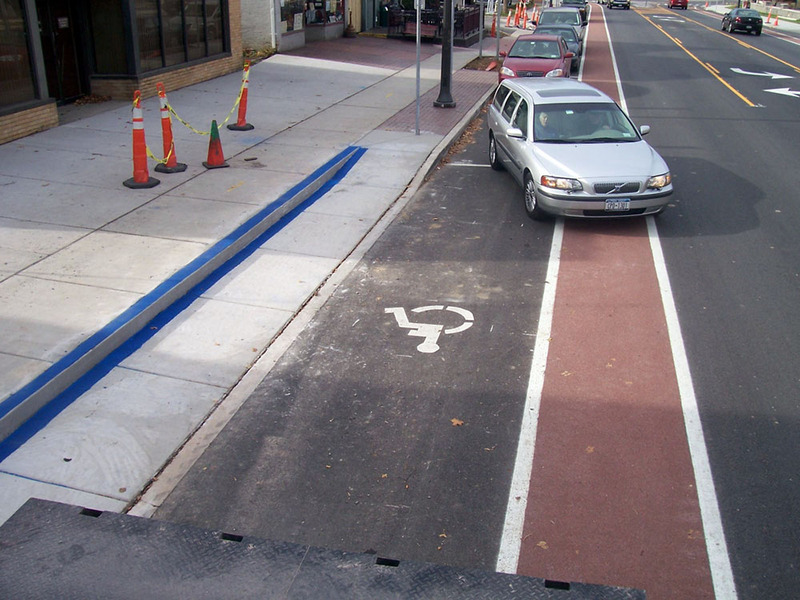 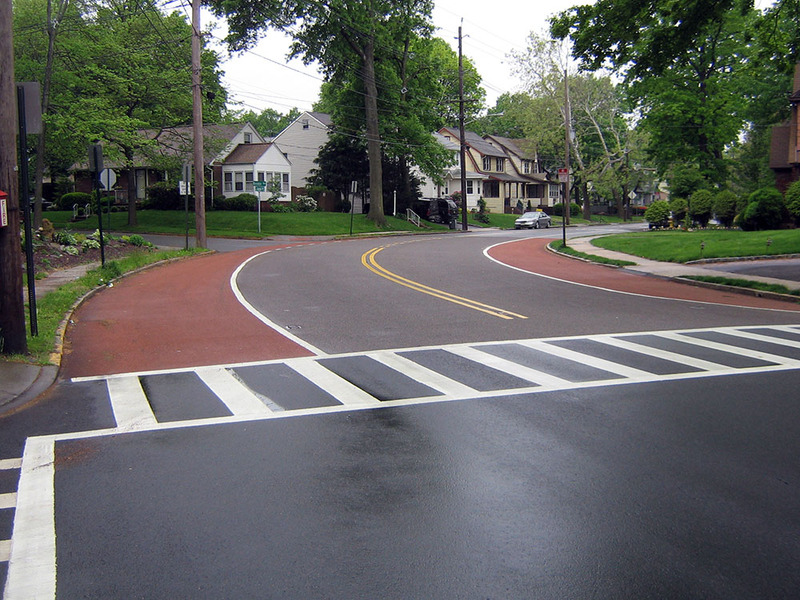 In addition, our various colors can be utilized for drivers to easily distinguish the road from bike paths, crosswalks, and other pedestrian walkways. 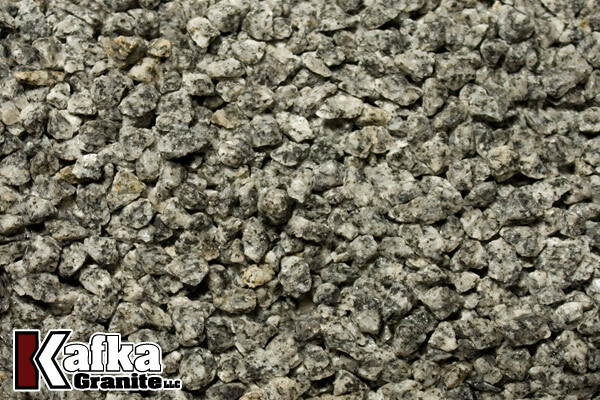 Kafka Granite’s high-friction surfacing aggregates can be manufactured to meet Department of Transportation specifications, which is generally 3/16” x 18 mesh for vehicular applications, therefore creating a total additional thickness of 3/8” to your preexisting hardscape roadway. 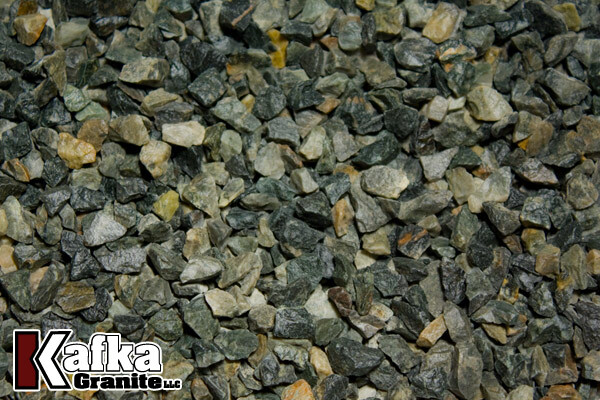 After the preexisting surface is thoroughly cleaned, a two-part epoxy is evenly spread and the aggregate is dispersed. 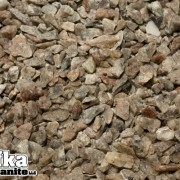 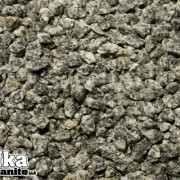 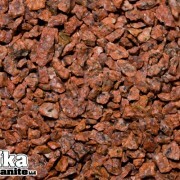 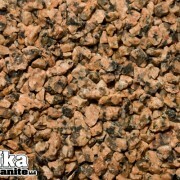 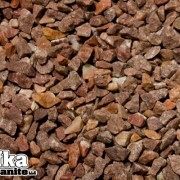 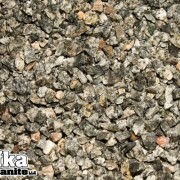 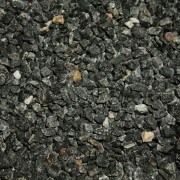 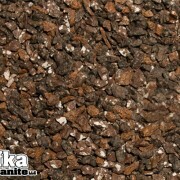 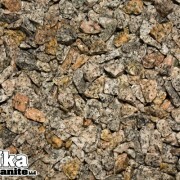 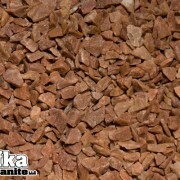 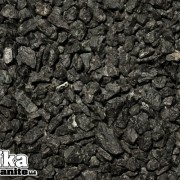 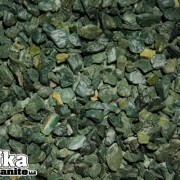 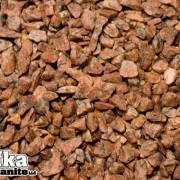 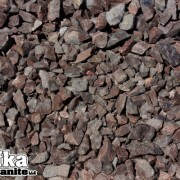 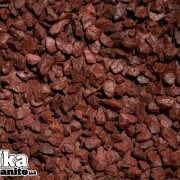 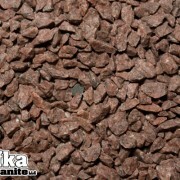 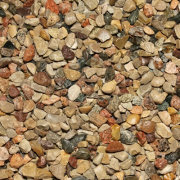 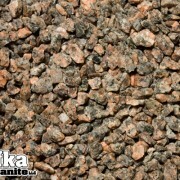 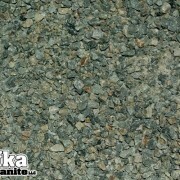 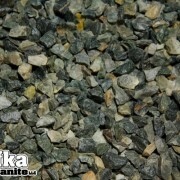 After the aggregate has set, the excess is swept away and can be reused. 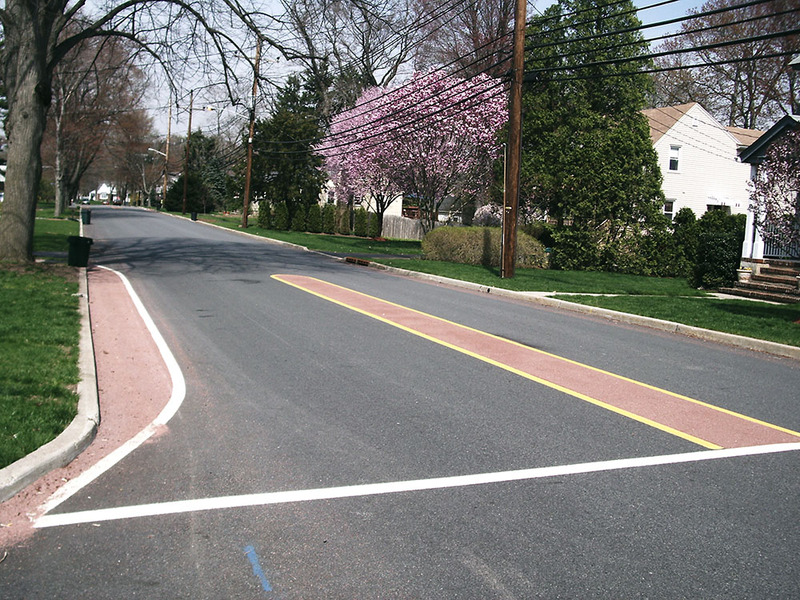 Platinum & Colonial Red High Friction Curve Overlay - Bergen County, NJ - Installation by Statewide Striping Corp.
Colonial Red High Friction Bridge Deck Overlay - Oradell, NJ - Installation by Statewide Striping Corp. 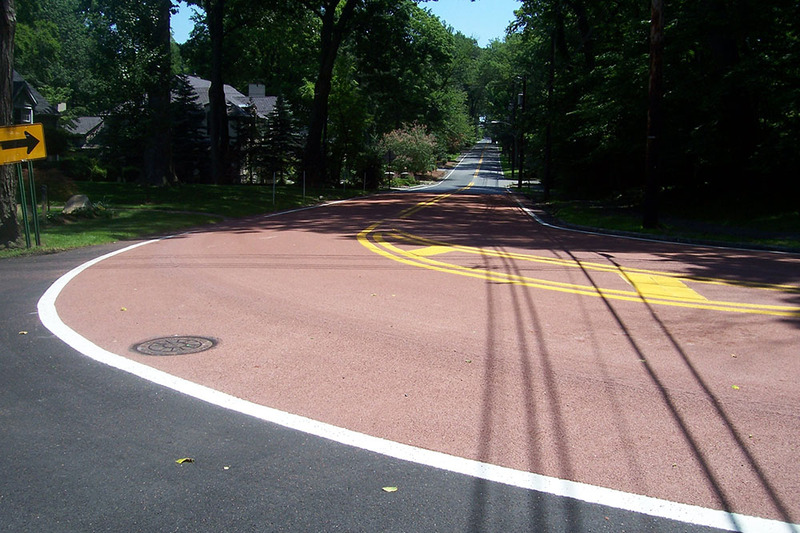 Platinum & Colonial Red High Friction Curve Overlay - Hillsdale, NJ - Installation by Statewide Striping Corp. 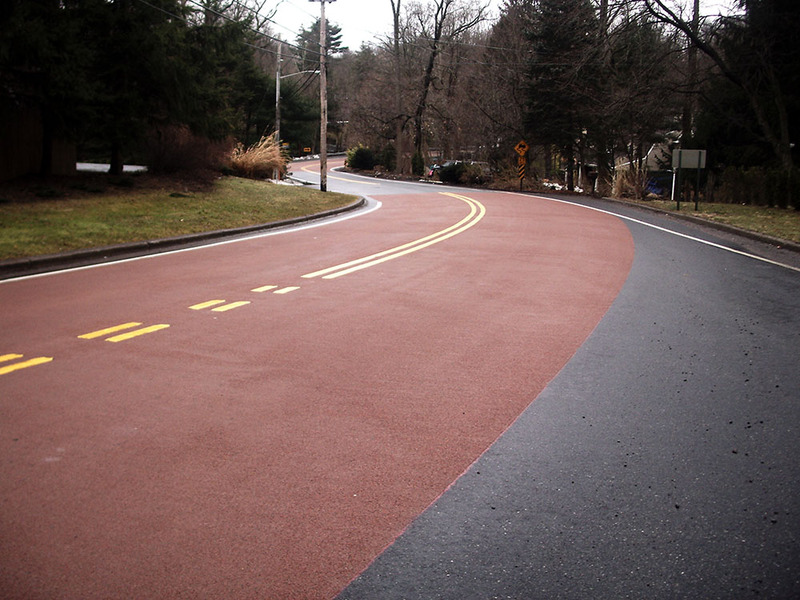 Platinum & Colonial Red High Friction Overlay - Installation by Statewide Striping Corp. 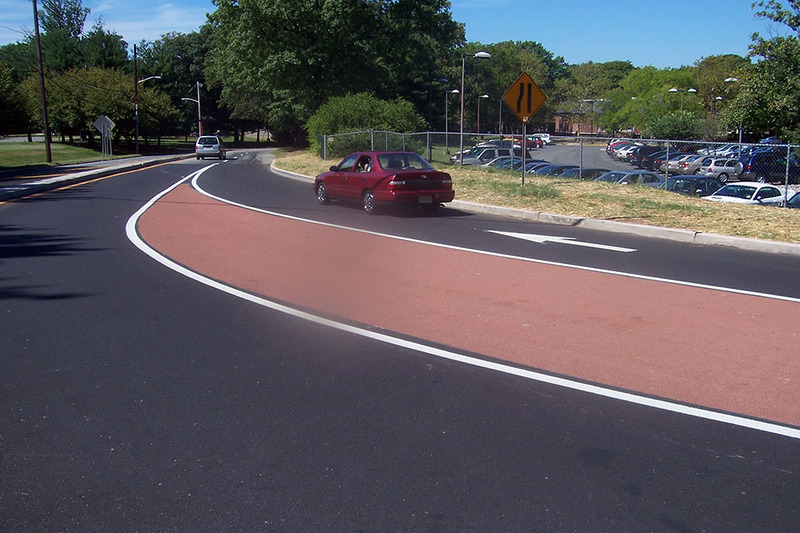 Platinum & Colonial Red High Friction Curve Overlay - Hudson County, NJ - Installation by Statewide Striping Corp. 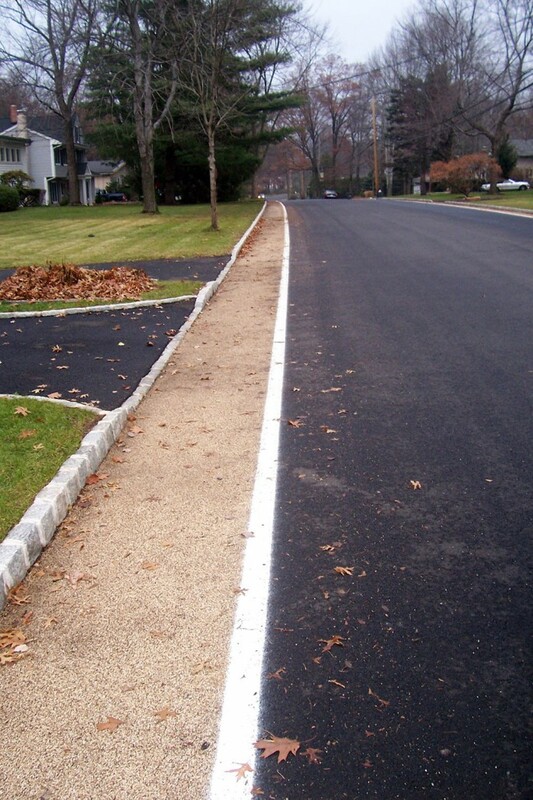 Platinum & Colonial Red High Friction Overlay - Hampton, NJ - Installation by Statewide Striping Corp.
Colonial Red High Friction Curve Overlay - Installation by Statewide Striping Corp. 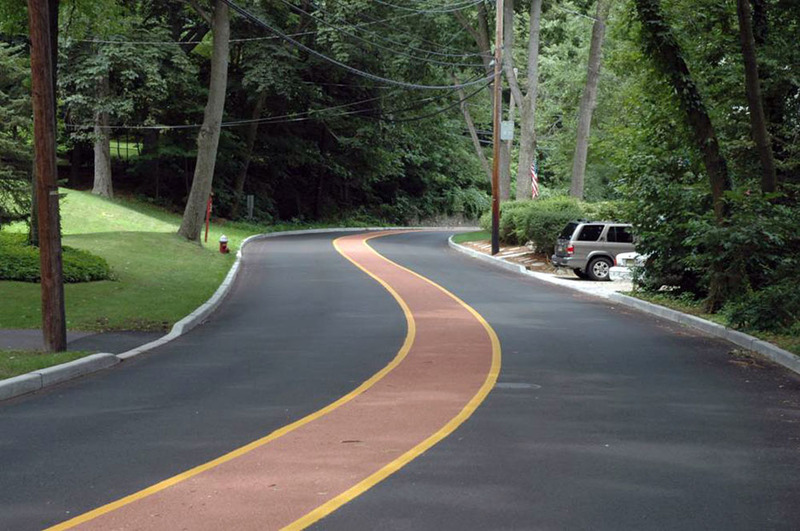 Platinum & Colonial Red High Friction Curve Overlay - Roselle Park, NJ - Installation by Statewide Striping Corp.
Kafka Granite offers aggregate materials ideal for a variety of scenarios. 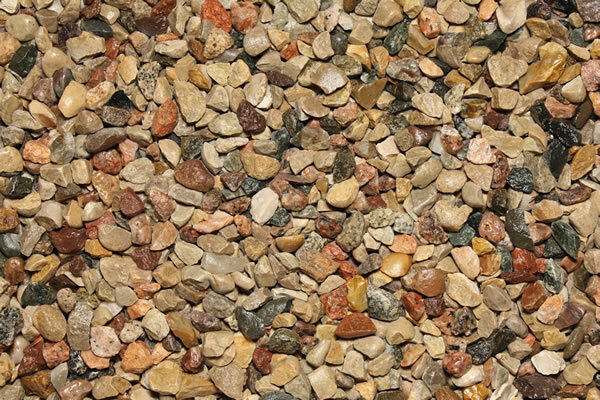 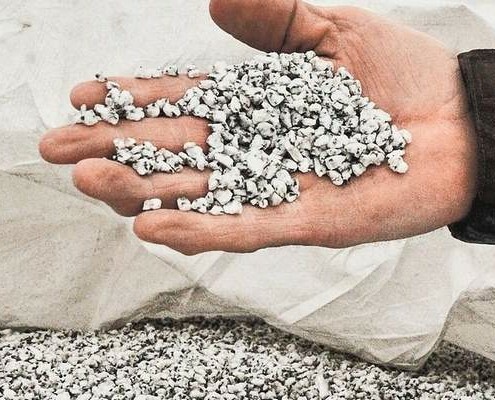 We offer crushed stone, decomposed granite, and an array of recycled materials that can lend themselves aesthetically and functionally to any space or project. 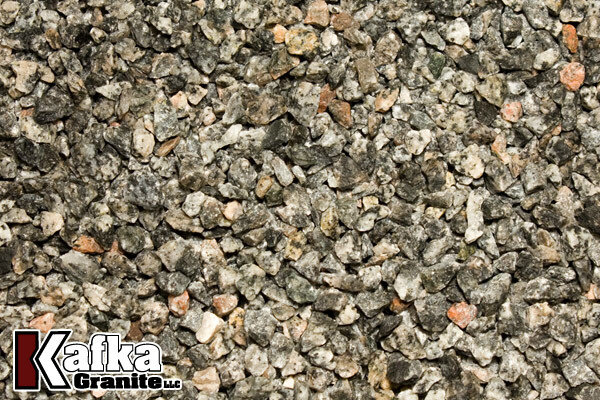 When it comes to your high-friction surfacing project for roadways or sidewalks, Kafka can provide you with the aggregate you need that matches your specific project’s specifications that align with DOT requirements. 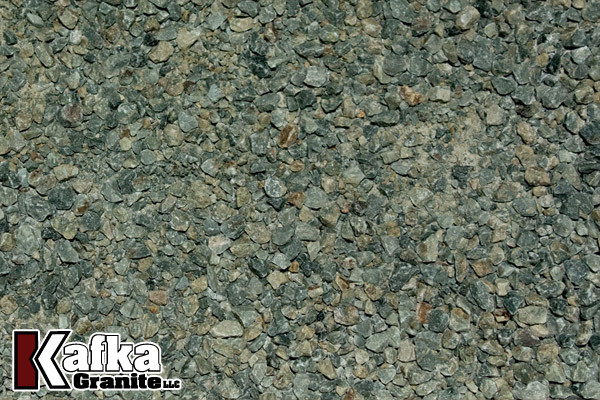 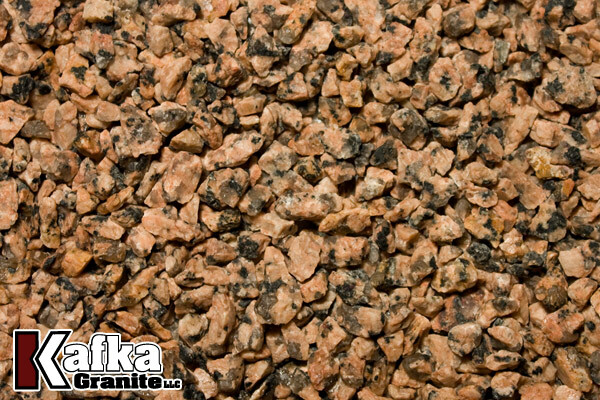 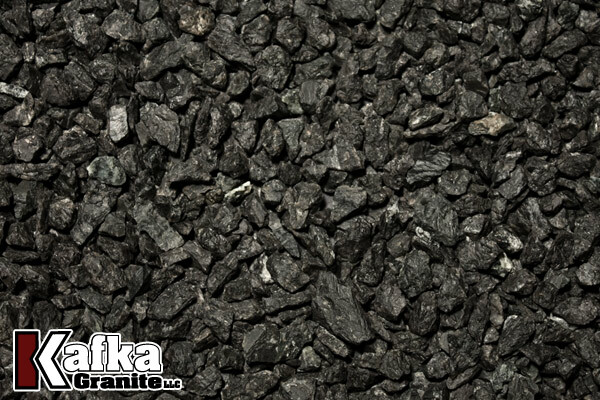 Our decomposed granite aggregate and crushed stone come in over 50 colors, leaving you with essentially endless options for your project. 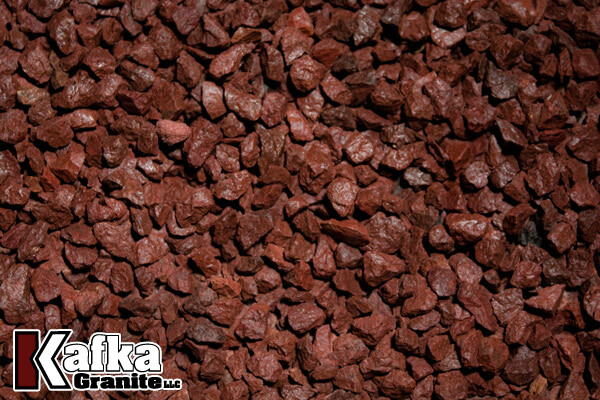 Many of our options are locally sourced or are made from recycled materials, which could help garner points toward LEED certification. 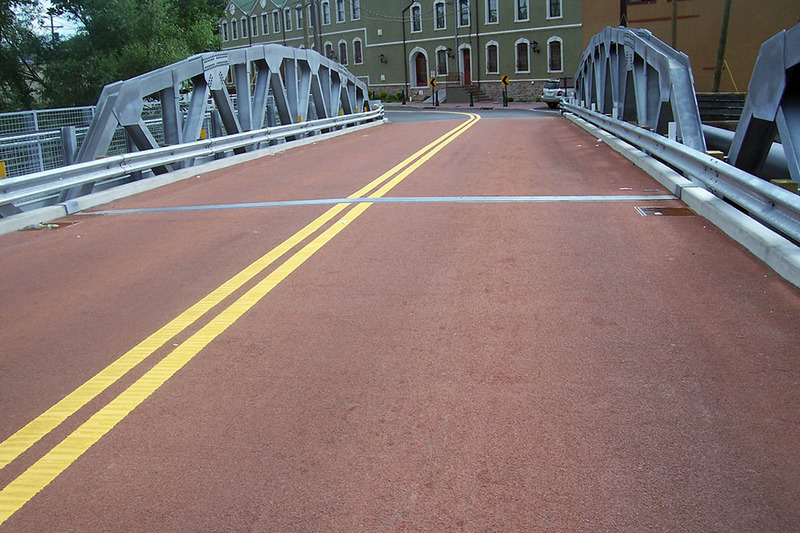 If you want to differentiate high-friction surfaces from surrounding portions of roadway or walkway, we have your everlasting solution in the form of a contrasting color. 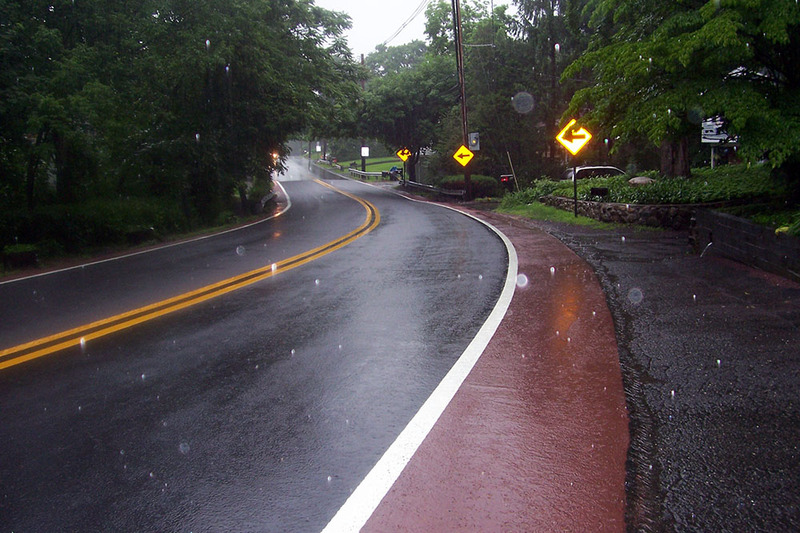 High-friction surfacing is way to make a roadway safer by providing more traction and grip between your vehicle and the surface of the street. 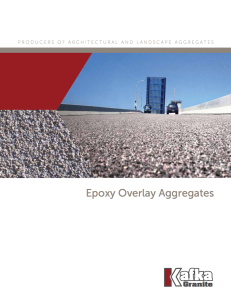 This solution to slick or dangerous bridge decks, overpasses, exit/entrance ramps, or curves uses a layer of two-part epoxy topped with a hard fractured aggregate.. 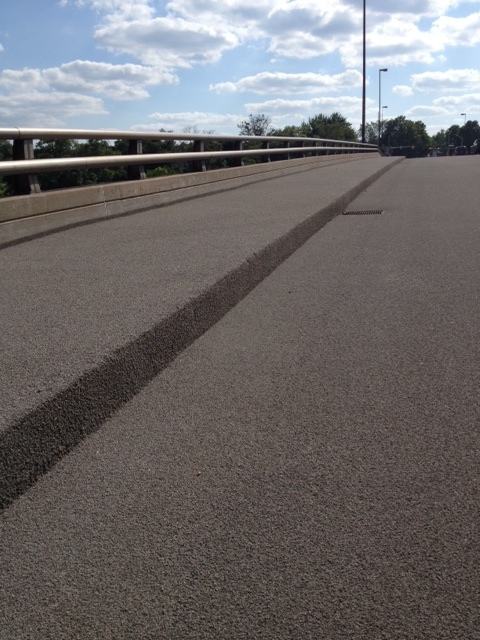 When high-friction surfacing is employed, traction is substantially improved, making conditions safer for drivers. 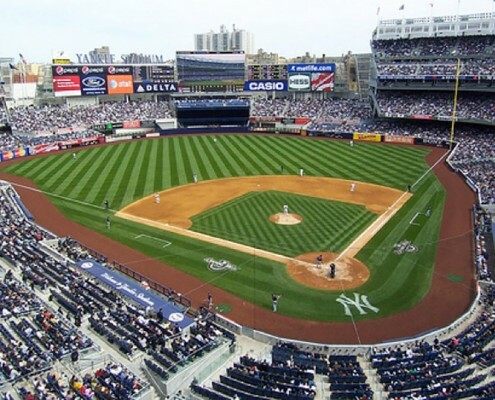 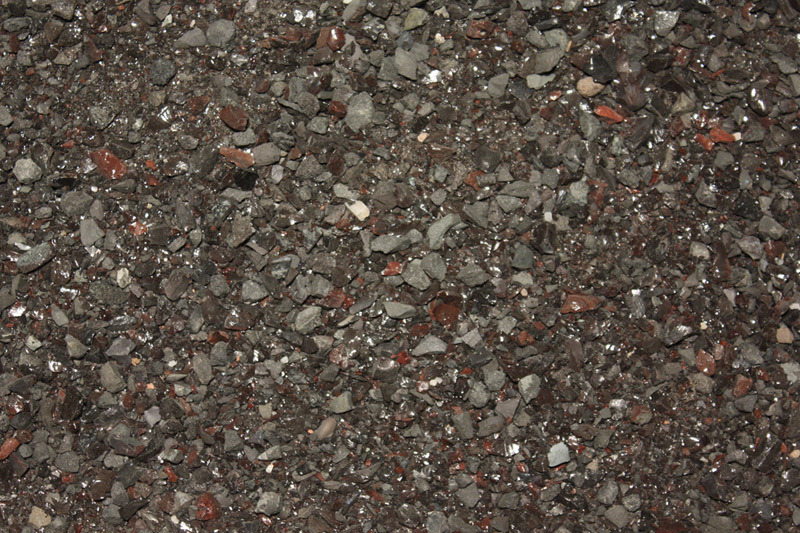 High-friction surfacing can be applied in a short amount of time if the preexisting surface is in good condition. 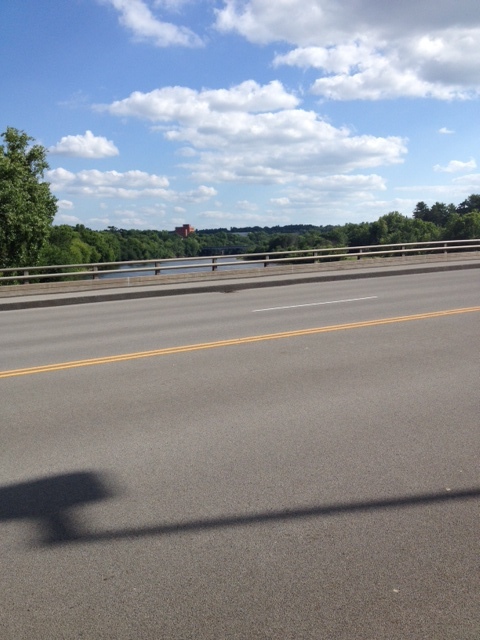 Repairs will need to be made to roadways that are badly deteriorated or in severe need of help. 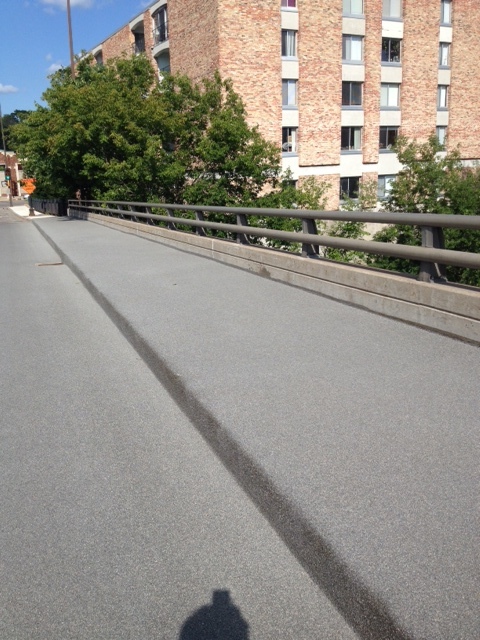 This life-saving treatment can be applied anywhere, however it is most effective when used on bridge decks, exit/entrance ramps and curves as these are the most slippery and accident-prone stretches of road. 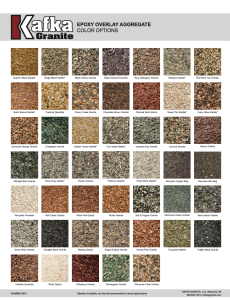 Why would I want to use high-friction surfacing? 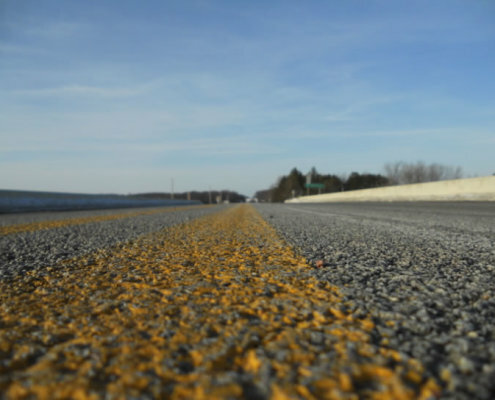 An incredible number of highway fatalities occur due to deteriorated surfaces. 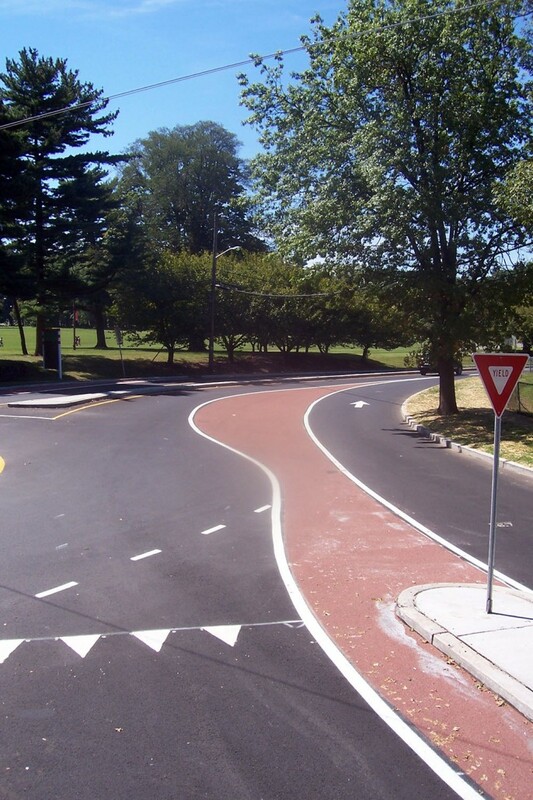 Roughly 40,000 people die every year in highway accidents, costing U.S. motorists over $164 million annually. 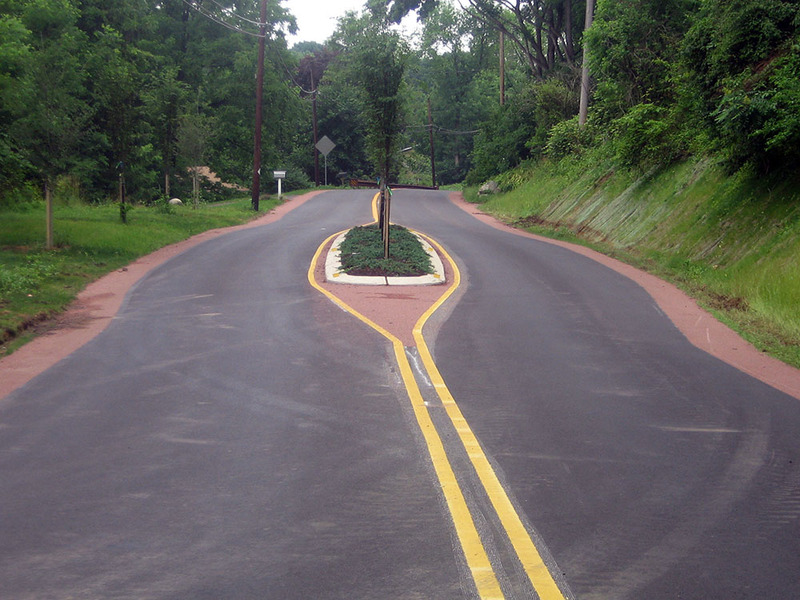 Roughly 25 percent of all crashes occur on wet pavement and nearly three times as many crashes occur along horizontal curves than on other highway segments; these are the parts of roadways which could benefit the most from high-friction surfacing with our hard aggregates. 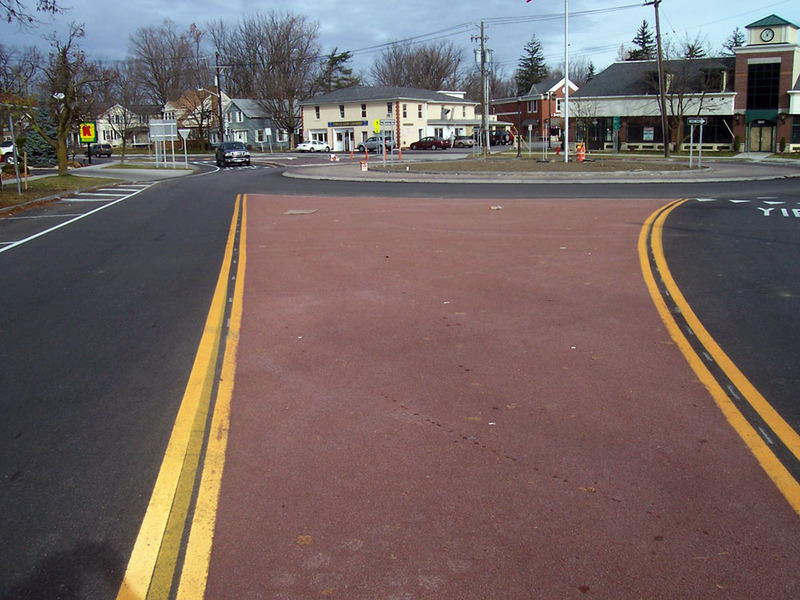 Not only does high-friction surfacing drastically improve the roadway’s traction, but it also provides a very durable surface that can better withstand the demands of day-to-day motorist traffic and the severe freeze/thaw cycles. 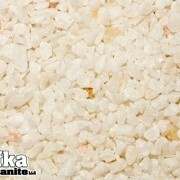 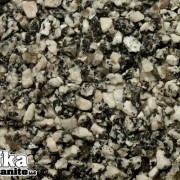 Why Kafka Granite for high-friction surfacing? 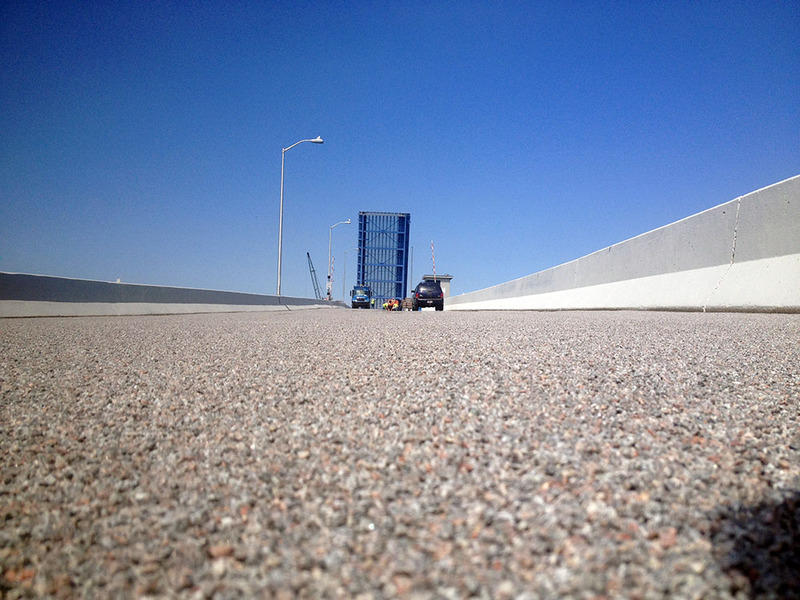 We are capable of meeting your state’s specific DOT standards when it comes high-friction surfacing on your roadways. 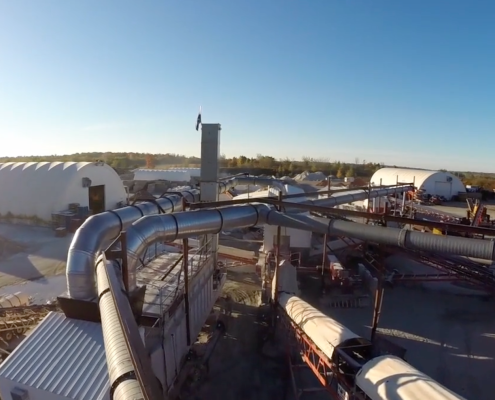 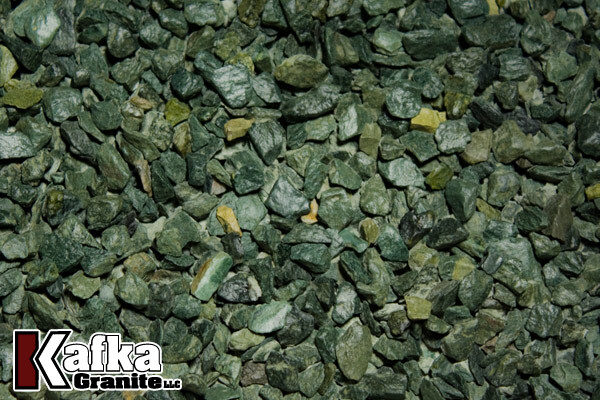 Our facility is able to provide high-friction surfacing aggregates that matches the hardness and size specifications you need for approval by the Department of Transportation. 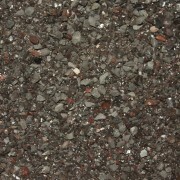 Also, Kafka offers nearly 60 color variations of aggregate. 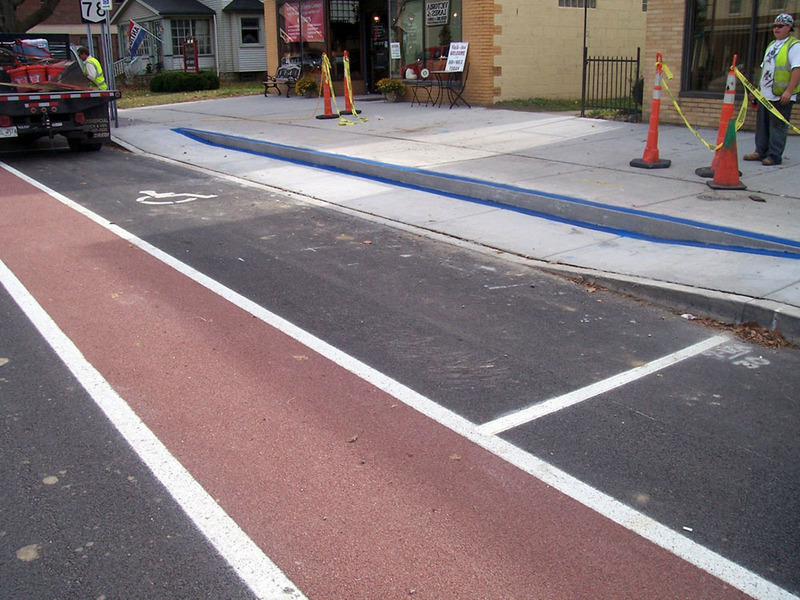 With a color selection as vast as ours, your can use bright colors to differentiate the roadway from bike lanes or crosswalks, or you can simply make your hardscape a more beautiful roadway—whether you want it to stand out with vibrant tones or blend in with natural hues. 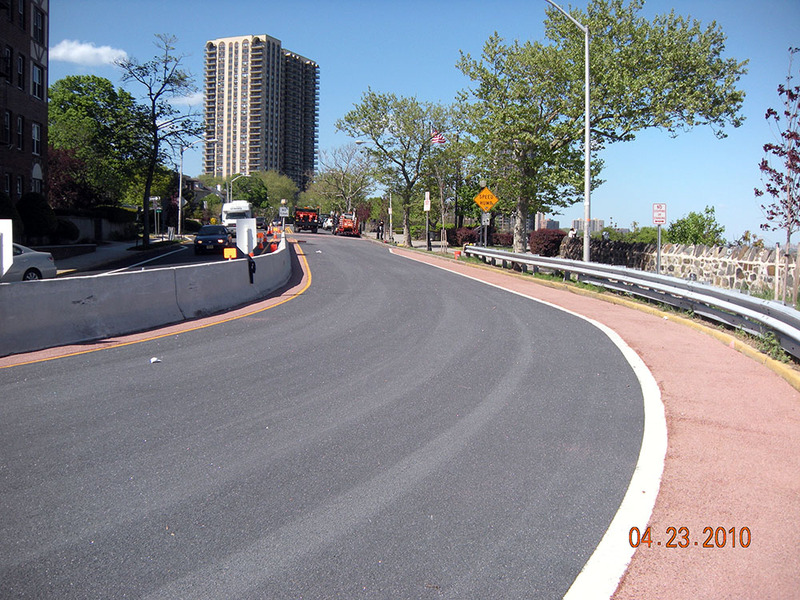 Are you a contractor who needs high-friction surfacing for your next roadway project? 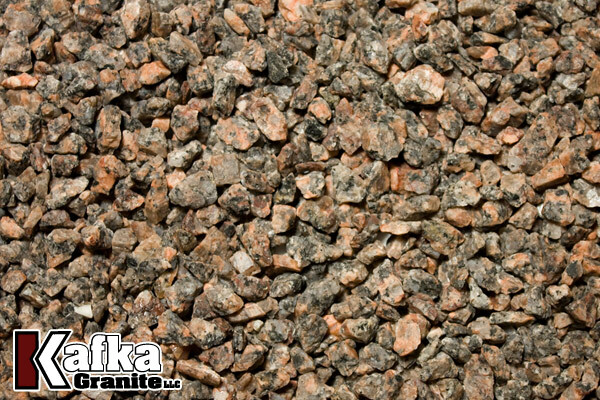 If our aggregate isn’t already approved for use by your state’s Department of Transportation, our experts can work with you. 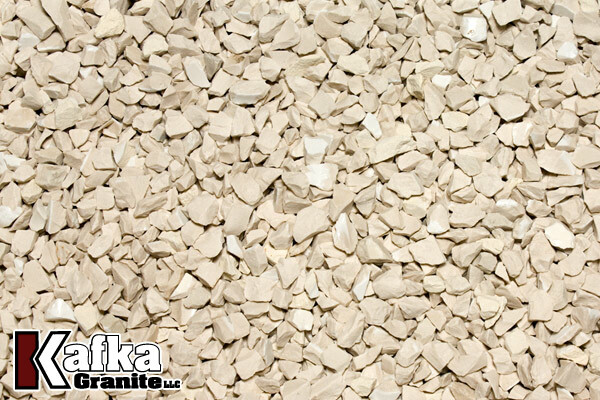 We’re always willing to help you when it comes to getting our aggregates tested and approved. 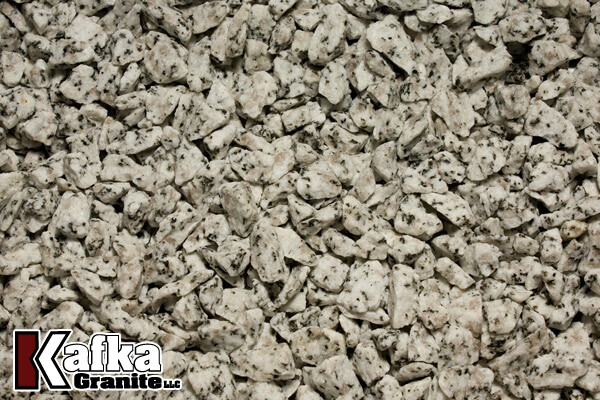 Call Kafka Granite today. 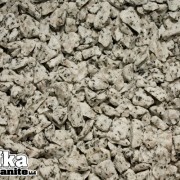 We can discuss your project and find the best possible solution for you. 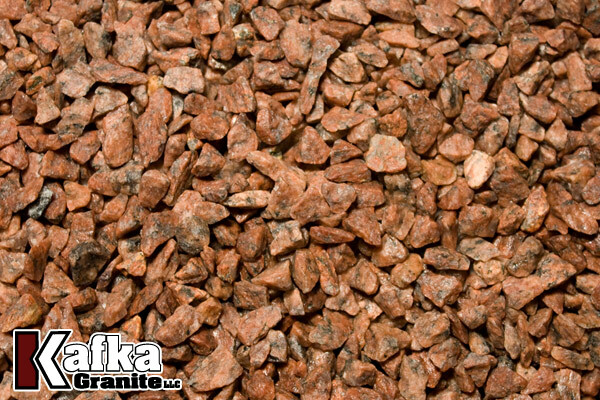 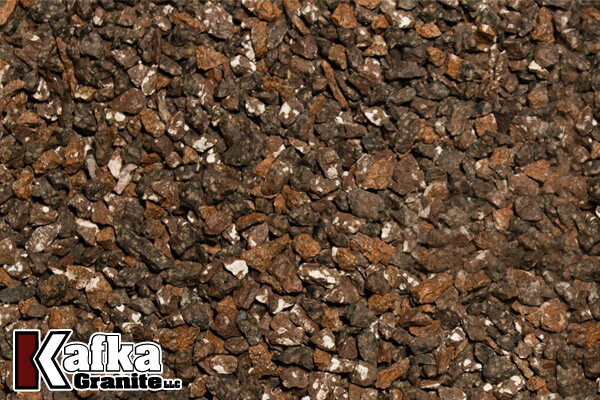 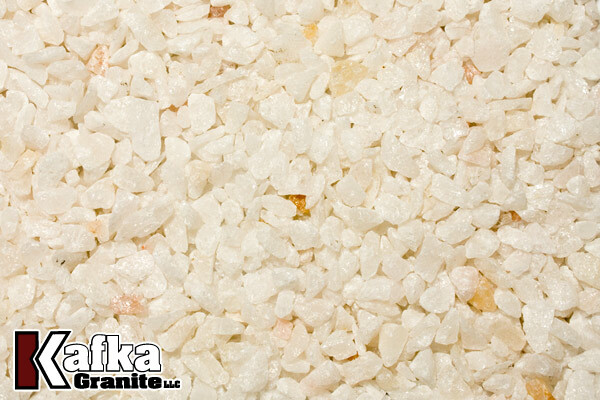 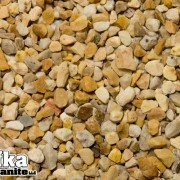 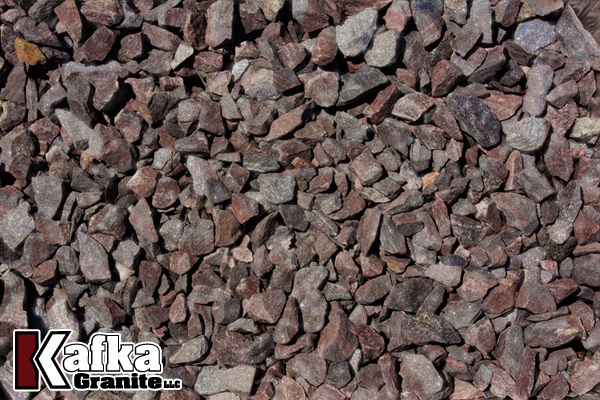 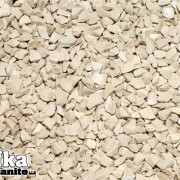 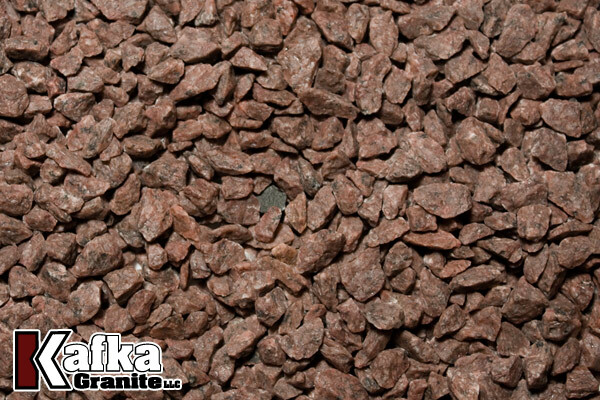 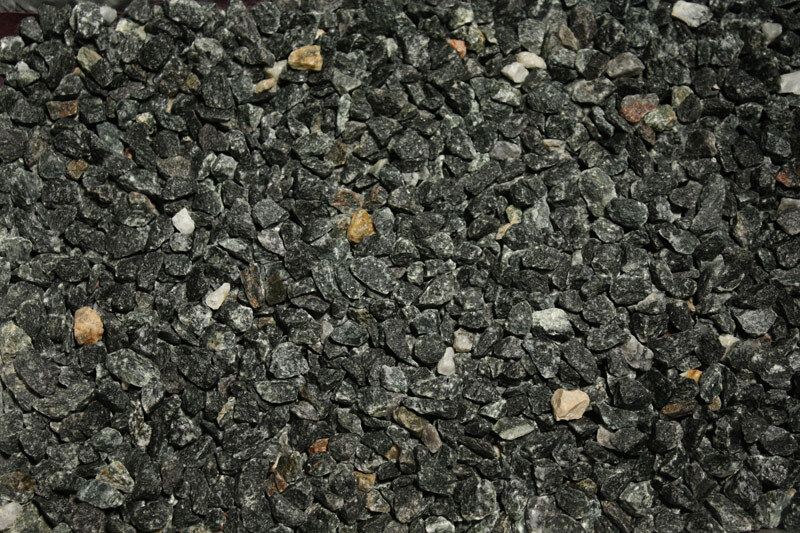 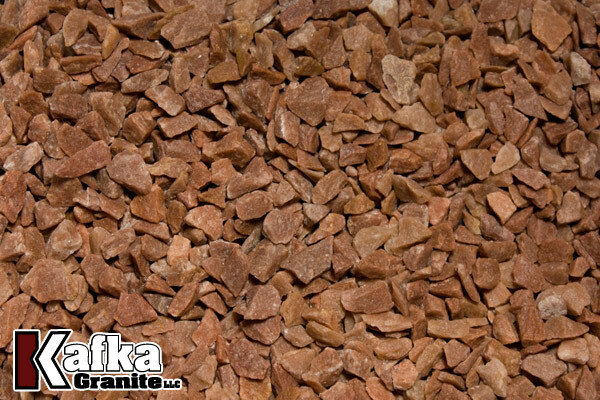 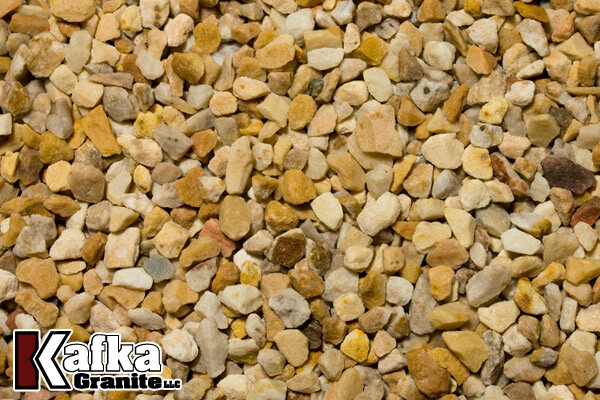 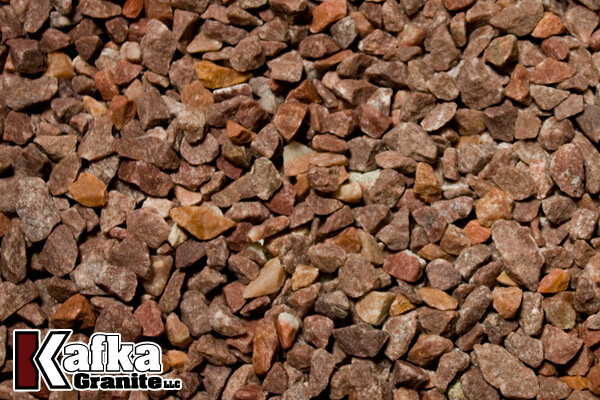 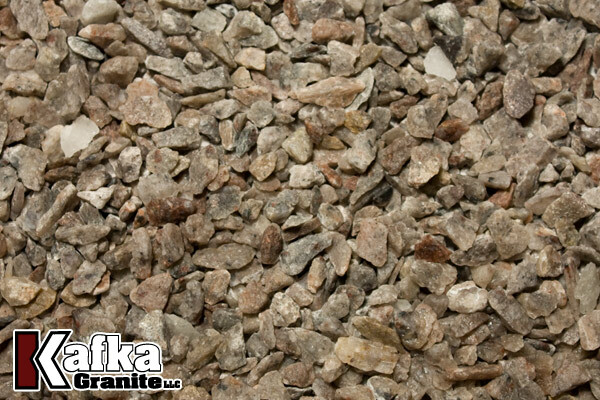 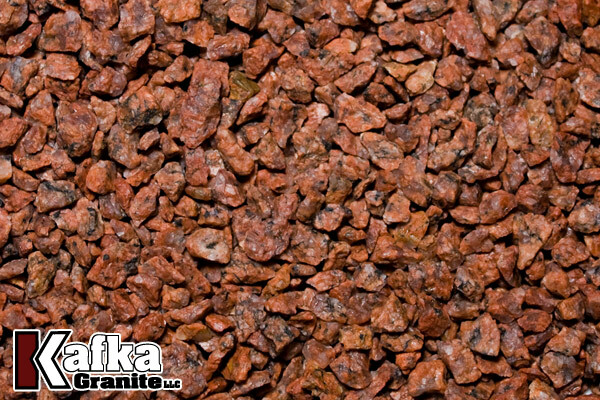 We know our variety of aggregates will make your high-friction surfacing project a success.